The French company Pernod Ricard is a leading global distributor and producer of premium alcoholic drinks and wines. It oversees more than 80 affiliates throughout the world, focusing on their continuous growth. The Pernod Ricard Group employs more than 18,000 people worldwide. All over the world, the Pernod Ricard Group systematically ensures its ongoing innovations, which make up an indispensable part of its long-term strategy. It also concentrates its efforts on developing emerging markets, which represent prospective business opportunities for international premium brands. 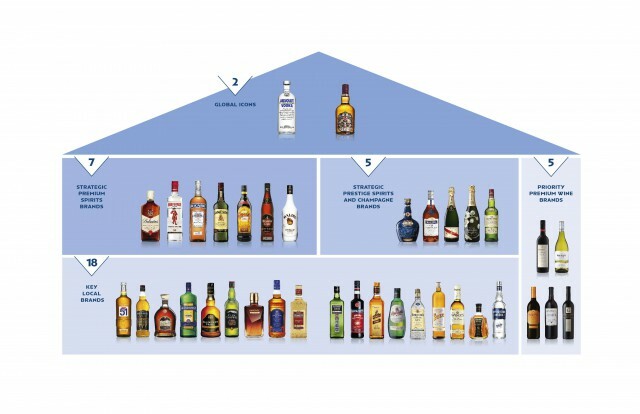 The portfolio of the Pernod Ricard Group includes renowned world premium brands such as Ballantine´s, Jameson, Havana Club, Beefeater, Absolut, Chivas Regal, Martell, Olmeca, Malibu, The Glenlivet, Perrier-Jouët, G.H. Mumm, Jacob´s Creek, and of course Becherovka Original. The Becherovka brand prospers in the Czech Republic as well as abroad thanks also to the activity and support of the Pernod Ricard Group. The production volume has been constantly increasing and about one half of its annual production is exported to more than 40 countries worldwide. For more information about Pernod Ricard Group, click here.